Student love a bit of dingy sportswear don’t they? When I first started uni I was embarrassed to wear coordinating outfits when everyone else was wearing “Scotch Beef” t-shirts they got free in 2005. But things have definitely stepped up a gear. With our Instagram feeds filled with Victoria Secret models in the latest gym gear and fitness blogs taking the internet by storm, your boyfriend’s 5k race t-shirt isn’t going to cut it. Instead of wanting to roll into the gym and keep our heads down, the treadmill has become our catwalk. We want flattering fits and fluorescent shoes. Just because we’re sweating doesn’t mean we can’t be stylish. 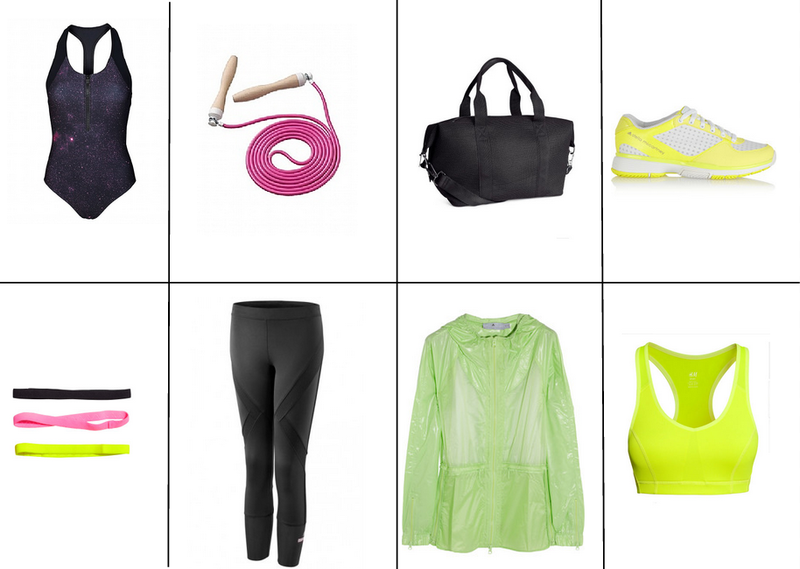 Nike and Adidas lead the way when it comes to on trend high performing fitness gear, but H&M and Forever 21 do a great job on the high street, delivering everything from fitness leggings to water bottles and bags. Check out my picks for gym essentials and let me know what you think.